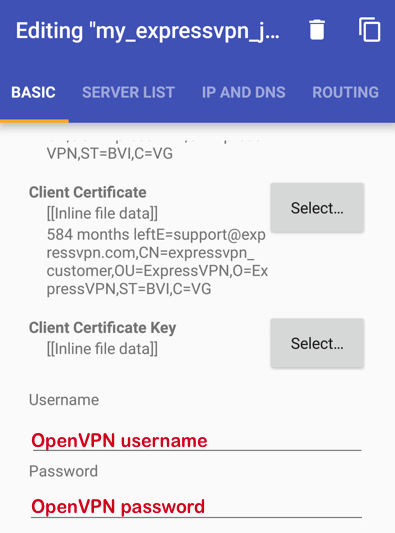 This guide will show you how to manually configure a VPN connection on your Android device using the OpenVPN protocol. 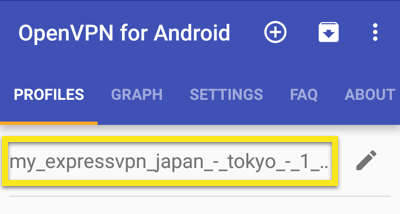 Search for OpenVPN for Android. Verify the app is by Arne Schwabe before installing the app. 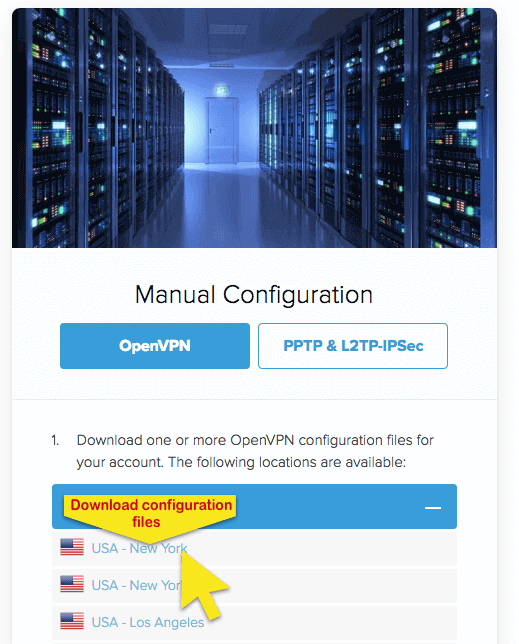 To set up ExpressVPN manually, you will need to obtain your ExpressVPN credentials for the manual configuration. 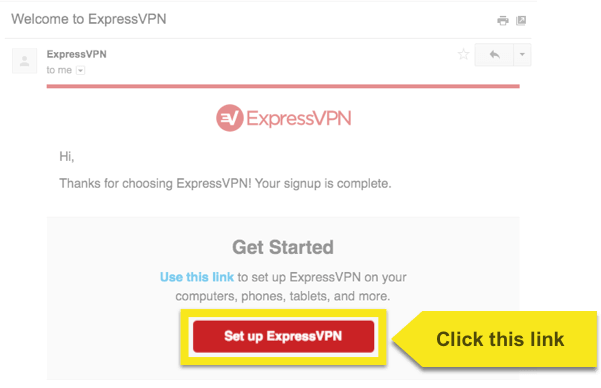 Once you’ve opened the link in the welcome email or signed in to the website, tap on Set Up ExpressVPN. 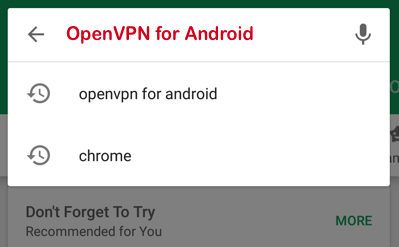 Select OpenVPN. This will show you your username, password, and a list of config files for servers around the world. Download the configuration files for the locations you’d like to connect to. 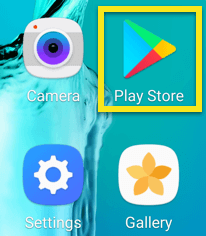 Tap on the import config icon in the top-right corner of the screen. Navigate to where you downloaded the config file and select the config file. Note: some users may not be able to select files that are stored in their Download folder. To resolve this issue, go to Internal storage before navigating to the Download folder. Select the config file from there. Tap on the Check icon to proceed. Next, tap on the Pen icon to edit the profile. 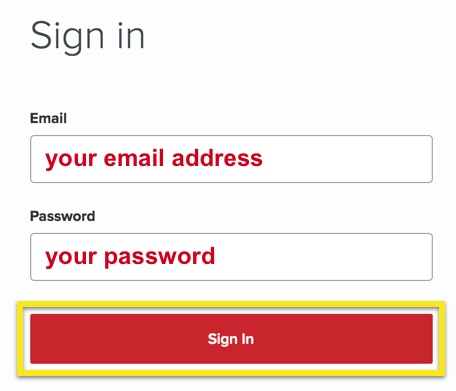 Under BASIC, paste the OpenVPN username and password you found above. 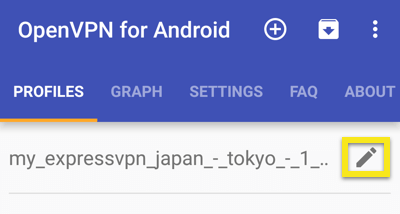 Tap on the Back icon on your device to return to the OpenVPN for Android PROFILES section. Tap on your created profile to connect to the VPN. When you’ve been connected, you’ll see a Key icon at the top-left corner of your screen. 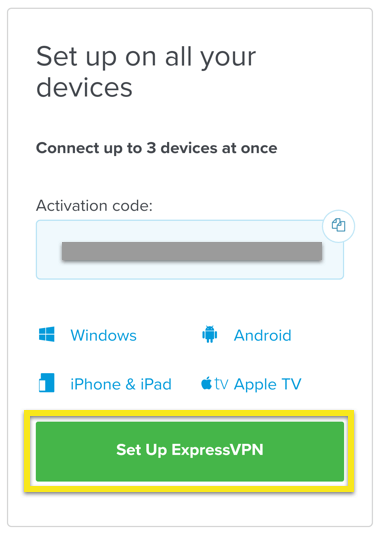 Check your IP to verify you are connected to the VPN properly. 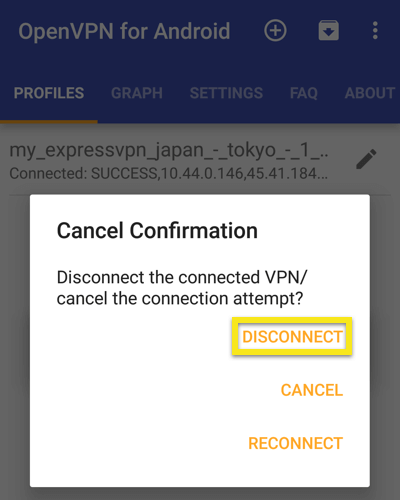 To disconnect from the VPN, tap on the connected profile and tap DISCONNECT.